Ellen has fronted bands continuously now for 35 years, as she has three critically acclaimed albums in addition to the latest effort. She was captivated by music since she was a child growing up in Fort Lauderdale Florida. Leaving the humidity and the taffeta dresses of her accordion marching band behind, Ellen branched out to blue grass, gospel, rock, blues and jazz. Her eclectic tastes in music include heroes such as Ray Charles, Ella Fitzgerald, Joni Mitchell, and Bonnie Raitt. Ellen, guitarist Garry Meziere, and her husband John Mullin, have collaborated with veteran musicians—“The ‘A’ List Commandos,” as Ellen likes to refer to them-- to produce a sophisticated, yet accessible sound that synchs up well with thoughtful and emotionally infused lyrics. 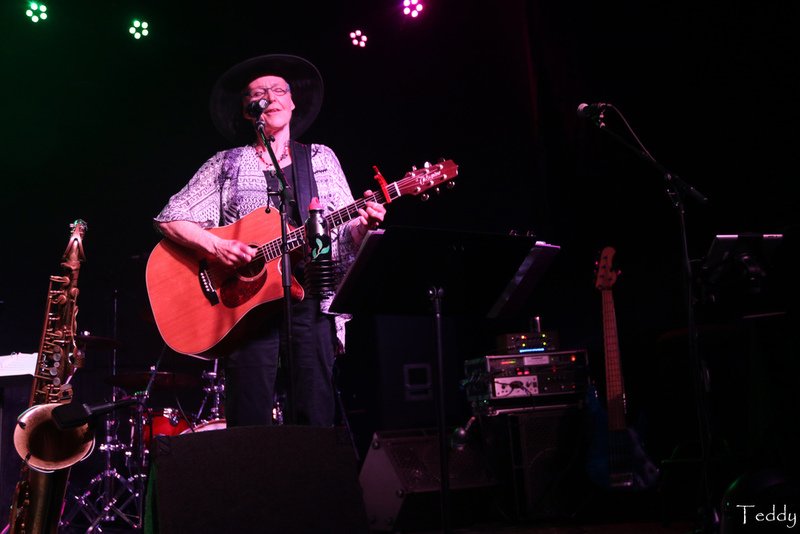 In addition to the Northwest, Ellen tours in the Mid West and on the East Coast, West Coast, and was a featured artist in the International Blues festival in Montreal. Get ready for some “Heart Rockin’ Music” with Ellen Whyte! 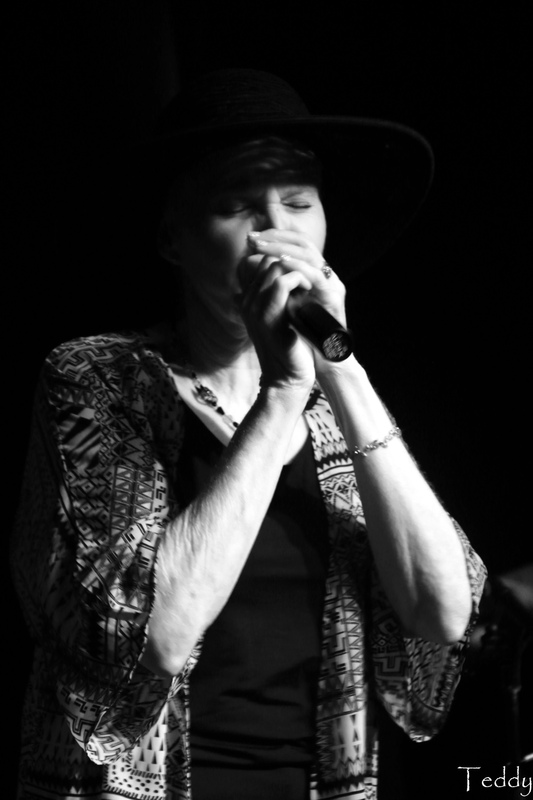 Sue makes her home in the Chippewa Valley of Wisconsin, and plays locally with bands from all over Wisconsin and Minnesota, including The Chippewa Valley Jazz Orchestra, Catya's Trio, Willie Walker And The Butanes, Deep Water Reunion, Combo Flambe, and many more. Mike Schlenker is a mainstay in the Chippewa Valley music scene. He’s been playing music locally, and touring for 30 years, and is most noted for playing with bands such as Another Carnival, Axis, and the Jimmy Solberg Band. Mike has shared the stage with many notable musicians over the years, including Howard Ludtke, Peter Phippen, and Jo Dee Messina. He currently lives in Eau Claire, Wisconsin, playing music and running his music store, Speed of Sound. Randy Sinz has been playing music professionally for over 44 years. Although he first learned to play guitar, first stage performance on bass was at the age of 12 with his father’s band, Jerry Sinz and his Dairyland Ranch Hands. After a road tour in the 70’s with the “Al Perry Country Affair,” he played with a number of popular bands from the Chippewa Valley, including the Cadillac Cowboys, Tequila Sage, Southern Serenade, the Dairyland Ranch Hands, and Rada-Dada. 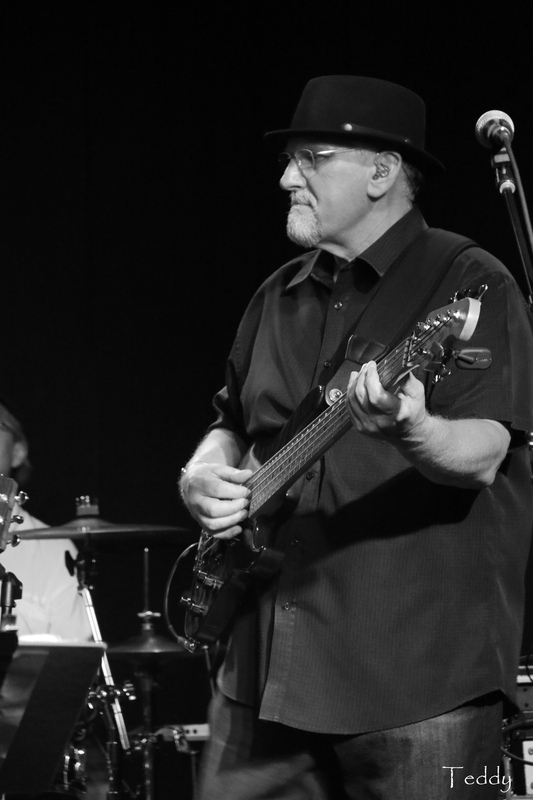 In addition to playing with the Sue Orfield Band, he currently plays electric and upright bass with Ranger Rudy & the Swingin’ Wingtips, Catya’s Trio, AcoustiHoo, Code Blue, and Rada-Dada. Drummer Dave Schrader has performed in many local cover bands around the Chippewa Valley since the age of 15. As a road warrior and through hard knocks and dirty socks, he spent time traveling with several bands from 1973 through 1977 gaining experience in different genres. He brings to the table a smooth, versatile approach to multiple styles of music and a solid background vocal capability.